General manager Marty Hurney said Newton (shoulder) has increased his range of motion this offseason, but the quarterback has yet to throw a football, Steve Reed of the Associated Press reports. Coach Ron Rivera reiterated the Panthers are happy with Newton's recovery from arthroscopic surgery on his right throwing shoulder, Jourdan Rodrigue of The Charlotte Observer reports. "We're really pleased with his workouts," Rivera said. "Reports we got have been all positive. I look forward to seeing him soon, but just very happy that things are trending in the right direction." The Panthers are pleased with Newton's rehab from offseason arthroscopic surgery on his throwing shoulder, ESPN's David Newton reports. "From what I've gotten in reports, Cam's progress has been very good," coach Ron Rivera noted. "He's been getting all his workouts in. Just knowing that gives you a little bit of confidence going forward." Analysis: Given the encouraging reports surrounding Newton's recovery, the team currently has no plans to seek veteran QB help in free agency. The Panthers are expected to re-sign restricted free agent Taylor Heinicke, while 22-year-old Kyle Allen remains under contract with the team. Additionally, it appears as though one of Newton's key targets, tight end Greg Olsen, will remain with the franchise, despite offers to move into the broadcasting field. The Panthers expect Newton (shoulder) to be ready to start the 2019 season, Adam Schefter of ESPN reports. Coach Ron Rivera said Thursday that Newton "has gotten a lot of range of motion back" in his right throwing shoulder, Jourdan Rodrigue of The Charlotte Observer reports. Newton underwent what was described as a successful arthroscopic procedure on his right (throwing) shoulder Thursday, the Panthers' official site reports. Analysis: The report adds that the QB's rehab process will begin immediately, but at this time there hasn't been an estimated time of recovery for Newton. 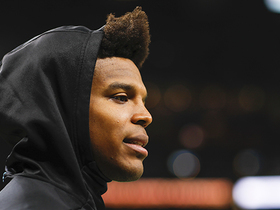 Given the timing of the procedure, Newton has a good deal of time to recover in advance of training camp, but it's unclear at this stage when he'll be able to resume football activities. 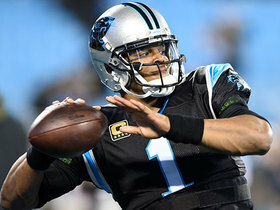 Owner David Tepper admitted Tuesday that a decision hasn't been made regarding surgery on Newton's right throwing shoulder, David Newton of ESPN.com reports. "We have to recognize we may have to do things through the year if it doesn't [get better]," Tepper said. "We have to make sure we have our options in all ways possible." Newton (shoulder) finished the 2018 regular season with 3,395 yards, 24 touchdowns and 13 interceptions through the air and 101 carries for 488 yards and four scores on the ground in 14 games played. Newton isn't expected to require another surgery on his sore right shoulder after recent scans detected no structural damage, Ian Rapoport of NFL Network reports. 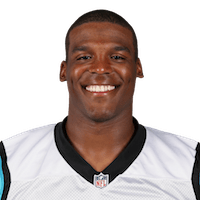 Coach Ron Rivera confirmed Wednesday that Newton (shoulder) will miss the final two games of the season, adding that a healthy Taylor Heinicke gives the team a better chance to win, David Newton of ESPN.com reports. The Panthers are expected to hold out Newton (shoulder) for the rest of the 2018 season, Ian Rapoport of NFL Network reports. 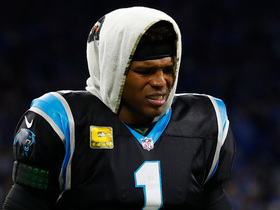 Newton (shoulder) was held out of practice Wednesday, Jourdan Rodrigue of The Charlotte Observer reports. Coach Ron Rivera hasn't ruled out Newton sitting the final two games of the season due to a lingering injury to his right throwing shoulder, Steve Reed of the Associated Press reports. "It's a tough situation right now," Rivera said Tuesday. "Until I get a chance to visit with him I'm not going to speculate." Newton admitted after Monday's game against the Saints that he's still battling constant soreness with his right shoulder, David Newton of ESPN reports. Newton completed 16 of 29 passes for 131 yards and an interception in Monday night's 12-9 loss to the Saints. He also rushed five times for 15 yards. Newton (shoulder) practiced fully Saturday and doesn't carry an injury designation into Monday's game against the Saints. Newton (shoulder) was a limited participant at Friday's practice. Analysis: Joe Person of The Athletic notes that the quarterback didn't throw any passes during the portion of practice open to media, with the Panthers perhaps taking a cautious approach due to wet conditions. Whatever the case, Newton seems to be headed for his usual routine of closing out the week with a full practice. He doesn't seem to be at risk of missing Monday's game against the Saints. Newton (shoulder) was a limited practice participant Thursday, Steve Reed of the Associated Press reports. Newton completed 26 of 42 passes for 265 yards and an interception while adding 23 yards on five carries in Sunday's 26-20 loss to Cleveland. Analysis: Both of Carolina's touchdowns were scored by running back Christian McCaffrey, as the Browns kept Newton without a rushing or passing score, snapping an 11-game streak with multiple touchdown passes for the mobile quarterback. He'll look to start a new such streak in Week 15 against an exploitable Saints secondary, assuming Newton's bothersome shoulder doesn't flare up. The Panthers aren't viewing Newton's surgically repaired right shoulder as nearly as much of a concern heading into Sunday's matchup with the Browns as they did late in the Week 13 loss to the Buccaneers, Ian Rapoport of NFL Network reports. Newton (shoulder) practiced again Friday and doesn't carry an injury designation into Sunday's game against the Browns, Joe Person of The Athletic reports. Newton (shoulder) was spotted throwing passes during Friday's practice, Max Henson of the Panthers' official site reports. Analysis: Newton did not throw Wednesday or Thursday, but he was apparently feeling good enough to do so at the Panthers' final practice session of the week. His availability for Week 14 remains undecided, and a final call on his status may not be made until Sunday. 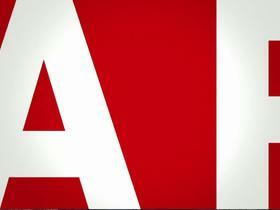 Newton (shoulder) remained a limited participant at Thursday's practice, Steve Reed of the Associated Press reports. Newton (shoulder) was on the field for team drills during the open portion of Thursday's practice but wasn't doing any throwing, Joe Person of The Athletic reports. Newton (shoulder) was a limited practice participant Wednesday, Bryan Strickland of the Panthers' official site reports. Afterward, Newton told Joe Person of The Athletic that he's "taking it day by day" to "be ready for Sunday" at Cleveland. Coach Ron Rivera said Newton's surgically repaired shoulder was "a little bit sore" during Sunday's 24-17 loss to Tampa Bay, Marcel Louis-Jacques of The Charlotte Observer reports. Newton completed 28 of 41 pass attempts for 300 yards, two touchdowns and four interceptions during Sunday's 24-17 loss to the Buccaneers. He also carried six times for 33 yards. Analysis: Newton reached 300 yards for the third time this season and threw multiple touchdowns for the 11th straight game. Unfortunately, his career-high-tying four interceptions were a large reason he had to air it out while playing from behind. The turnovers were definitely out of the norm for Newton, who came in having thrown multiple interceptions just once this season. He'll look to bounce back with a better performance next Sunday against the Browns. Newton (shoulder) doesn't have a designation on the Panthers' final injury report ahead of Sunday's game in Tampa Bay. 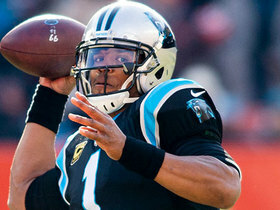 Newton (shoulder) remained limited at Thursday's practice, David Newton of ESPN.com reports. Analysis: The typical cap on Newton's practice reps is extending into a second day, so he has just one more session to earn a "full" tag and officially get cleared for Sunday's game in Tampa Bay. Assuming he does, per usual, he'll be facing a Buccaneers defense that he already shredded for 247 yards (9.9 yards per attempt) and two touchdowns Week 9. Newton (shoulder) was a limited practice participant Wednesday, Greg Auman of The Athletic reports. Analysis: Per usual, the Panthers are scaling back Newton's practice workload to limit the stress on his surgically repaired shoulder. He didn't throw Wednesday, but should do so Thursday and/or Friday and avoid an injury designation heading into Sunday's favorable matchup with Tampa Bay. Newton completed 25 of 30 passes for 256 yards, two touchdowns and an interception in Sunday's 30-27 loss to Seattle. He added 63 yards on eight carries. Analysis: Newton completed all 14 of his first-half passes, including a 7-yard touchdown to Curtis Samuel in the second quarter. His 2-yard touchdown to Christian McCaffrey gave the Panthers a 27-20 lead with 6:57 remaining in the fourth quarter, but Seattle stormed back with 10 unanswered points to steal the game. Newton will have a golden opportunity to bounce back in Week 13, as he'll face a Buccaneers secondary that ranks among the league's most generous. Newton (shoulder) doesn't have a designation on the final injury report for Sunday's home game against Seattle. Newton (shoulder) practiced in a limited capacity Thursday, Joe Person of The Athletic reports. Newton (shoulder) was a limited practice participant Wednesday, Jourdan Rodrigue of The Charlotte Observer reports. Newton completed 25 of 37 passes for 357 yards with three touchdowns and one interception in the Panthers' 20-19 loss to the Lions on Sunday. He also rushed twice for two yards. Newton (left ankle) returned to Sunday's game against the Lions, David Newton of ESPN.com reports. Analysis: Sunday afternoon was an eventful one for a number of NFL QBs, including Washington's Alex Smith, who suffered what looked like a bad ankle injury against the Texans. Fortunately for the Panthers and those who rely on Newton in fantasy lineups, Carolina's franchise signal-caller avoided a major injury in Week 11. Newton injured his left ankle during Sunday's game at Detroit, Adam Schefter of ESPN reports. Analysis: Newton appeared to twist his ankle near the end of the third quarter. In Newton's place, Taylor Heinicke took over under center for the Panthers. Newton (shoulder) doesn't have a designation on the Panthers' final injury report for Sunday's game in Detroit. Analysis: The Panthers continue to limit Newton's reps in an effort to maintain the health of his surgically repaired throwing shoulder. He returned to full practice participation Friday and shouldn't have any issues Sunday in a dome game against a Lions defense ranked 31st in yards allowed per pass attempt (8.9) this season. The Panthers estimated Newton (shoulder) as a limited participant for Thursday's practice, Steve Reed of the Associated Press reports. Newton (shoulder) was limited in practice Wednesday, Jourdan Rodrigue of The Charlotte Observer reports. Analysis: Per usual, the maintenance program on Newton's right throwing shoulder is holding true. Expect the signal-caller to rid himself of the designation by week's end, even if the Panthers wait to clear him until Friday, when the team will release its final Week 11 injury report. Newton completed 23 of 29 passes for 193 yards with two touchdowns and one interception in the Panthers' 52-21 loss to the Steelers on Thursday. He also rushed twice for 10 yards and fumbled once, but it was recovered. Newton (shoulder) doesn't carry an injury designation into Thursday's game at Pittsburgh, Joe Person of The Athletic reports. Analysis: Newton went through the typical maintenance routine for his right (throwing) shoulder this week, logging back-to-back limited sessions before practicing in full Wednesday. With his status cleared, he'll focus on exploiting a Steelers defense that has allowed 278.6 passing yards per game and a 17:5 TD:INT ratio to quarterbacks this season through eight games. Newton (shoulder) was listed as a limited participant in Tuesday's practice. Analysis: It's believed that Newton's restrictions were strictly for maintenance purposes with the Panthers facing a quick turnaround between games in Week 10. 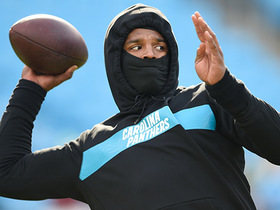 Newton required surgery for his right shoulder following the 2016 campaign, but it hasn't prevented him from starting the Panthers' last 24 regular-season contests. That streak seems at little risk of coming to an end Thursday in Pittsburgh. Newton (shoulder) was limited at Monday's walkthrough, Bill Voth of the Panthers' official site reports. Analysis: For a third consecutive week, Newton has kicked it off with a "limited" appearance in practice with the intent to avoid any undue stress on his right throwing shoulder. Under this "new normal," as coach Ron Rivera has called it, Newton has been cleared to play well before kickoff, so expect the same to occur this week as the Panthers prepare for a Thursday night showdown with the Steelers' 21st-ranked pass defense (257.6 yards per game). Newton completed 19 of 25 passes for 247 yards with two touchdowns and no interceptions in the Panthers' 42-28 win over the Buccaneers. He also rushed 11 times for 33 yards. Newton (shoulder) practiced in full Thursday, Bryan Strickland of the Panthers' official site reports. Analysis: Newton kickstarted an amended practice regimen last week, getting listed as limited both Wednesday and Thursday before the Panthers cleared him Friday. On this occasion, he followed up Wednesday's limited session by handling every practice rep Thursday. With the health of his right throwing shoulder not in question, Newton can prepare for a juicy matchup Sunday against a Buccaneers defense that has allowed a 300-yard passer five times and a 20:1 TD:INT in seven games this season. Newton (shoulder) was a limited practice participant Wednesday, David Newton of ESPN.com reports. Analysis: Last week, Newton kicked off a practice regimen similar to what was standard for the 2017 campaign, when his reps were capped following offseason shoulder surgery. While he didn't throw Wednesday, Newton's participation in the install portion of the session was enough to earn a "limited" designation. Barring something unforeseen, expect Newton to maintain that activity level before being cleared on Friday's injury report, as he was a week ago. Newton (shoulder) didn't throw during the portion of Wednesday's practice that was open to the media, David Newton of ESPN.com reports. Analysis: Such is Newton's "new normal" in order to keep his right throwing shoulder fresh. On a positive note, Newton took part in the install portion of practice Wednesday, so he likely will receive a "limited" tag yet again when the Panthers release their first injury report of the week. Newton completed 21 of 29 passing attempts for 219 yards and two touchdowns and added a rushing touchdown and 52 yards on 10 carries in Sunday's 36-21 win over the Ravens. Newton (shoulder) doesn't have a designation on the final injury report for Sunday's game against the Ravens, Joe Person of The Athletic reports. Analysis: The Panthers scaled back Newton's practice reps during the week to limit stress on his sore right shoulder. Coach Ron Rivera said this could be the new routine moving forward, just as it was last year when Newton was bouncing back from offseason surgery on the shoulder. His matchup with an elite defense is the real concern for Week 8. Coach Ron Rivera said Thursday "there is no doubt" that Newton (shoulder) will suit up Sunday versus the Ravens, Joe Person of The Athletic reports. "None at all," Rivera added. Offensive coordinator Norv Turner reiterated Thursday that Newton is dealing with a sore right shoulder but is getting ready to play Sunday against the Ravens, David Newton of ESPN.com reports. Analysis: The Panthers limited Newton's reps at Wednesday's practice, which coach Ron Rivera expects will be the "new normal" for the quarterback moving forward, per Bill Voth of the team's official site. Newton similarly was listed as limited on initial injury reports last season due to surgery in March of 2017 to repair a partially torn rotator cuff in his throwing shoulder. Look for Newton to gain clearance to suit up prior to Sunday's 1:00 PM ET kickoff. Newton was a limited participant at Wednesday's practice due to a right shoulder injury, Bill Voth of the Panthers' official site reports. Newton completed 25 of 39 pass attempts for 269 yards and two touchdowns Sunday against the Eagles. He also carried seven times for 49 yards in the 21-17 win. Newton completed 27 of 40 attempts for 275 yards with two touchdowns, an interception and 43 rushing yards on nine carries during Sunday's 23-17 loss to Washington. Newton completed 21 of 35 pass attempts for 237 yards, two touchdowns and two interceptions Sunday against the Giants. He also carried eight times for 29 yards in the 33-31 win. Newton completed 15 of 24 passes for 150 yards and two touchdowns while adding 36 yards and two more touchdowns on 10 carries in Sunday's 31-21 win over the Bengals. Analysis: Newton tied the game at 7-7 late in the first quarter with a two-yard rushing score, then broke that tie on the next drive with a four-yard passing touchdown to Devin Funchess. He hooked up with C.J. Anderson for a 24-yard score on a screen pass later in the first half and picked up his second rushing touchdown of the contest from five yards out in the third quarter. This was another physical contest for Newton, so he'll be glad to rest up with a bye next week. Head coach Ron Rivera said Newton is doing "fine" after taking a bit hit in Sunday's game, Joe Person of The Athletic reports. Analysis: Newton took a vicious hit to the head from the Falcons' Damontae Kazee in Sunday's game, which led to Kazee being ejected, but Newton was able to finish the contest and was apparently no worse for the wear afterward. Barring any unforeseen symptoms throughout the week, expect Newton to be good to go for the Panthers' Week 3 matchup with the Bengals. Newton completed 32 of 45 passes for 335 yards with three touchdowns and one interception in the Panthers' 31-24 loss to the Falcons on Sunday. He also rushed five times for 42 yards. Newton completed 17 of 26 pass attempts for 161 yards while adding 58 yards and a touchdown on 13 carries during Sunday's 16-8 win over the Cowboys. Newton completed 11 of 17 passes for 142 yards and rushed twice for 13 yards in Friday's 25-14 win over the Patriots in the third preseason game. Newton returned to Friday's preseason contest against the Patriots, Jourdan Rodrigue of The Charlotte Observer reports. Analysis: Newton took a hit, lost the ball in the process and left the contest for a visit in the sideline tent. After some time on the sideline, he was good to go and proceeded to hit top wideout Devin Funchess for a seven-yard gain. Considering he reentered the game, Newton should be good to go moving forward. Newton (undisclosed) left Friday's preseason game against the Patriots, David Newton of ESPN.com reports. Analysis: While scrambling for a first down, Newton was upended and lost the ball, which Christian McCaffrey recovered. Newton immediately consulted a trainer and went to the sideline tent for further evaluation. It remains to be seen exactly what he may have injured. Panthers head coach Ron Rivera said Newton and the team's normal starters will play through the first series of the second half in Friday's preseason game against the Patriots, Joe Person of The Athletic Carolina reports. Analysis: Rivera wants to see how his starters handle halftime adjustments before he turns the game over to players competing for roster spots. Newton has already been rather busy this preseason, completing 15 of 21 passes for 173 yards with a touchdown and an interception in two games. He threw a hideous pick in last week's win over the Dolphins, but his completion percentage (71.4%) should make new offensive coordinator Norv Turner happy. Newton completed nine of 12 passes for 89 yards, a touchdown and an interception in Friday's 27-20 win over the Dolphins in the second preseason game. Newton could play up to a full half in Friday's preseason game against the Dolphins, Max Henson of the Panthers' official website reports. Analysis: The Panthers surely don't plan to keep Newton in the game until halftime, but coach Ron Rivera does have a history of keeping his starters on the field longer than expected when the offense gets off to a slow start in a preseason game. Newton completed six of nine passes for 84 yards in last week's preseason opener against the Bills, staying in for a second drive after the first ended with a punt. Newton completed six of nine passes for 84 yards in Thursday's 28-23 preseason win over the Bills in the preseason opener. Analysis: Newton also rushed once for three yards while leading the Panthers offense on its first two drives. 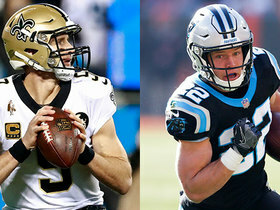 During his brief stint, Newton twice found Christian McCaffrey for first downs, and he connected with Jarius Wright on a 28-yard play to set up McCaffrey's two-yard rushing touchdown. After a productive first performance, Newton will now gear up for next Friday's meeting with the Dolphins. Newton (knee) declared himself healthy during a media session Saturday. "It was very big for me making the proper steps this offseason knowing that I'm full go," he said. "My body feels great." Newton (knee) is throwing passes Tuesday at the start of OTAs, Jourdan Rodrigue of The Charlotte Observer reports. Newton (knee) avoided offseason surgery, Jourdan Rodrigue of The Charlotte Observer reports. Newton suffered a knee injury during the Panthers' playoff loss to the Saints that will require offseason rehab, but no surgery, ESPN.com reports. Newton completed 24 of 40 passes for 349 yards and two touchdowns in Sunday's 31-26 NFC wild-card loss to the Saints. He also rushed eight times for 37 yards. Newton (shoulder) practiced in full Thursday, Steve Reed of the Associated Press reports. Analysis: Newton finished Week 17 in Atlanta with his worst QB rating (31.5) of the season, which may have been the impetus for cutting short the maintenance of his right throwing shoulder. As evidence, he typically didn't log a full practice until his final day of prep during the regular season. In line for two such sessions prior to the Panthers' wild-card contest at New Orleans, he may want to avoid any rust in the do-or-die scenario. Newton (shoulder) was a limited participant during Wednesday's practice, David Newton of ESPN.com reports. Analysis: Newton may not return to full participation until Friday as the Panthers continue the trend of restricting the quarterback's reps early in the week in order to preserve his surgically repaired throwing shoulder. Following a brutal three-interception performance against the Falcons in Week 17, Newton will look to bounce back during Sunday's wild-card tilt in New Orleans. On the bright side, he's rushed for more than 50 yards in five consecutive contests. Newton completed 14 of 34 passes for 180 yards with one touchdown and three interceptions in Sunday's 22-10 loss to the Falcons. He also gained 59 yards on 11 rushes and fumbled twice. Newton (shoulder) doesn't have a designation on the final injury report for Sunday's game in Atlanta. Analysis: Per usual, Newton was limited Wednesday and Thursday before returning to a full practice Friday. 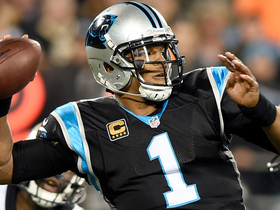 The Panthers are limiting his reps to reduce the stress on his surgically-repaired right arm. Newton completed 13 of 24 passes for only 137 yards against the Falcons in Week 9, but he made up for it with nine carries for 86 yards and a touchdown in a 20-17 victory. Newton (shoulder) practiced in a limited capacity Wednesday, Bryan Strickland of the Panthers' official site reports. Analysis: The maintenance of Newton's right shoulder may extend through Friday, but there's no worry about the signal caller not suiting up for the regular-season finale in Atlanta, a game in which the Panthers can clinch the NFC South and potentially even a first-round bye. With that in mind, head coach Ron Rivera declared Tuesday that Newton and the rest of the starters will likely play all four quarters Sunday, according to David Newton of ESPN.com. Panthers head coach Ron Rivera said Tuesday that Newton and the rest of the team's starters would likely play the full game in the regular-season finale Dec. 31 against the Falcons, David Newton of ESPN.com reports. Newton completed 16 of 25 passes for 160 yards and an interception in Sunday's 22-19 win over the Buccaneers. He also rushed 14 times for 52 yards and a touchdown. Newton (shoulder) was a full practice participant Friday and has been cleared for Sunday's game against the Buccaneers. Analysis: This has been the routine all season, with Newton showing up on the injury report due to the Panthers' desire to limit his practice reps. He's been something less than the best version of himself for a second straight year, but last week's four-touchdown gem against the Packers bodes well for a strong finish to the campaign. Newton will now take aim at a Tampa Bay defense that's allowing 7.9 yards per pass attempt, though he did struggle in the same matchup back in Week 8. Newton (shoulder) was a limited participant in Thursday's practice, Jourdan Rodrigue of The Charlotte Observer reports. Newton completed 20 of 31 passes for 242 yards and four touchdowns in Sunday's 31-24 win over the Packers. He also rushed 14 times for 58 yards. Newton (shoulder) was a full practice participant Friday and doesn't have a designation on the final injury report for Sunday's game against the Packers. Analysis: Per usual, Newton didn't log a full session until the final practice of the week. The limited workload seems to have helped him stay healthy throughout the season, though his inconsistent performance hasn't exactly inspired confidence. Newton has at least fared well in most of his favorable matchups, which bodes well for Sunday's game against a Packers team that has given up 7.8 yards per pass attempt this season. 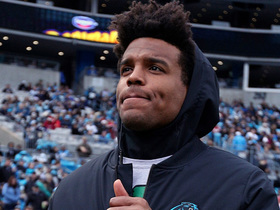 Newton (shoulder) practiced in a limited capacity Wednesday, Jourdan Rodrigue of The Charlotte Observer reports. Analysis: Newton is merely proceeding with maintenance of his right shoulder, which endured arthroscopic surgery in March but hasn't afflicted his ability to play this season. Over his last six games, though, he's surpassed 200 yards passing just one time, instead keeping himself afloat with efficiency and his legs. During that span, he's tossed eight touchdowns versus two interceptions, averaged 62.3 rushing yards per game, and scored twice on the ground. Newton completed 13 of 25 passes for 137 yards, a touchdown and an interception in Sunday's 31-24 win over the Vikings. He also rushed 11 times for 70 yards. Newton (shoulder) practiced fully Friday and doesn't carry an injury designation for Sunday's game against the Vikings. Analysis: Notably, Newton ditched the thumb injury attached to his name the past two weeks, during which he completed just 28 of 55 passes for 351 yards and two touchdowns and galloped 15 times for 79 yards and one more score. Continued maintenance for his surgically-repaired right shoulder could limit Newton's practice reps through the end of the week as he prepares for Sunday's matchup against the Vikings' 10th-ranked pass defense. Newton completed 17 of 27 passes for 183 yard and two touchdowns, adding six carries for 51 yards, in Sunday's 31-21 loss to the Saints. Newton (thumb/shoulder) practiced fully Friday and doesn't carry an injury designation for Sunday's game against the Saints. Newton (thumb/shoulder) remained limited at Thursday's practice, Jourdan Rodrigue of The Charlotte Observer reports. Newton (thumb/shoulder) was a limited participant at Wednesday's practice, Max Henson of the Panthers' official site reports. Afterward, Newton told Jourdan Rodrigue of The Charlotte Observer that his right thumb "is a little tender." Analysis: Newton has sidestepped injuries all season in order to suit up on game day, and this week doesn't appear to be any different. In particular, he isn't "worried" about the thumb impacting his availability, meaning he'll likely receive a clean bill of health by week's end in the form of no injury designation ahead of Sunday's contest at New Orleans. In a Week 3 matchup with the Saints, Newton arguably had his worst game of the season, tossing for 167 yards, no touchdowns and three interceptions. Panthers coach Ron Rivera said Newton's injured right thumb may have contributed to the quarterback's poor performance in Sunday's 35-27 win over the Jets, David Newton of ESPN.com reports. Newton (thumb) completed 11 of 28 passes for 168 yards during Sunday's 35-27 win over the Jets. He added 28 yards and a touchdown on nine carries and fumbled once. Newton (thumb) was a full participant in Friday's practice and doesn't have an injury designation for Sunday's road game against the Jets. Analysis: The Panthers have been limiting Newton's practice participation all season to limit the wear and tear on his surgically repaired throwing shoulder. His thumb injury doesn't seem like much of an issue as the Panthers come out of their bye week to face a fading Jets defense. Newton was limited in practice Wednesday by a thumb injury, Jourdan Rodrigue of The Charlotte Observer reports. Newton completed 21 of 35 passes for 254 yards and four touchdowns in Monday night's 45-21 win over the Dolphins. He also rushed five times for 95 yards. Newton (shoulder) was a full practice participant Friday, Jourdan Rodrigue of The Charlotte Observer reports. Analysis: Newton said Wednesday that he still feels occasional pain in his throwing shoulder, but the issue hasn't threatened his game availability in quite some time. He'll be fine for Monday's matchup with a struggling Miami defense. Newton (shoulder) was a limited practice participant Thursday, Bryan Strickland of the Panthers' official site reports. Analysis: Wash, rinse, repeat. The Panthers have instituted a cap on Newton's practice reps in order to preserve his right shoulder, which has paid dividends en route to a 6-3 record. As evidence, Newton mentioned Wednesday that he has "pain in my shoulder from time to time," according to David Newton of ESPN.com. Expect Newton to return in full by Saturday as he prepares for Monday's matchup against the Dolphins, who have surrendered at least one touchdown pass in every game this season. Newton completed 13 of 24 passes for 137 yards and rushed nine times for 86 yards and a touchdown in Sunday's 20-17 win over the Falcons. Newton acknowledged that Tuesday's trade of former top wideout Kelvin Benjamin "changes much" of the Panthers' offense, which coach Ron Rivera said intends to stretch the field more following Benjamin's departure, NFL.com's Marc Sessler reports. Newton (shoulder) was limited at practice Wednesday, Jourdan Rodrigue of The Charlotte Observer reports. Analysis: It's been par for the course for Newton to have at least one capped practice on a weekly basis. With a full showing at practice likely to come by Friday, he'll get the requisite maintenance on his right shoulder, which has hindered him since Week 15 of last season. This week, Newton is prepping for a matchup with the Falcons, who boast the 14th-ranked pass defense but have conceded two touchdown throws in each of their past three contests. 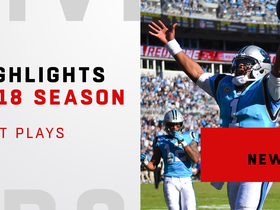 Watch Carolina Panthers quarterback Cam Newton's best plays from his 2018 season. The "Good Morning Football" crew discuss the health status of Carolina Panthers quarterback Cam Newton. NFL Network's Tom Pelissero reports the latest on Carolina Panthers quarterback Cam Newton's rehab efforts this offseason. NFL Network Insider Ian Rapoport gives us an update on Cam Newton's surgery. NFL Network Insider Ian Rapoport has the latest injury updates from the Atlanta Falcons Week 16 matchup vs. the Carolina Panthers. The "NFL Fantasy Live" crew discuss Carolina Panthers quarterback Cam Newton potentially sitting out the rest of the 2018 NFL season. NFL Network Insider Ian Rapaport reports the latest on Carolina Panthers QB Cam Newton, and the team's plans to shut him down for the rest of the season. NFL Network's "NFL Fantasy live" crew discusses the fantasy fallout from the New Orleans Saints' win over the Carolina Panthers on "Monday Night Football" in Week 15. Carolina Panthers head coach Ron Rivera addresses quarterback Cam Newton's health and whether he will remain active for the remainder of 2018. NFL Network's Mike Garafolo and Tom Pelissero discuss whether the Carolina Panthers will continue to play quarterback Cam Newton down the stretch.